Thermodynamics is a theory which establishes the relationship between the physical quantities that characterise the macroscopic properties of a system. 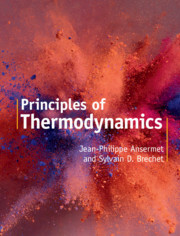 In our book, Principles of Thermodynamics, thermodynamics is presented as a physical theory which is based upon two fundamental laws pertaining to energy and entropy, which can be applied to many different systems in chemistry and physics, including transport phenomena. By asserting that energy and entropy are state functions, we eliminate the need to master the physical significance of differentials. Thus, thermodynamics becomes accessible to anyone with an elementary mathematical background. As the notion of entropy is introduced early on, it is readily possible to analyse out-of-equilibrium processes taking place in systems composed of simple blocks. Students engaging with thermodynamics have the opportunity to discover a broad range of phenomena. However, they are faced with a challenge. Unlike Newtonian mechanics where forces are the cause of acceleration, the mathematical formalism of thermodynamics does not present an explicit link between cause and effect. Nowadays, it is customary to introduce temperature by referring to molecular agitation and entropy by invoking Boltzmann’s formula. However, in this book, the intrusion of notions of statistical physics are deliberately avoided. It is important to start off by teaching students the meaning of a physical theory and to show them clearly the very large preliminary conceptual work that establishes the notions and presuppositions of this theory. Punctual references to notions of statistical physics, which are not formally presented, give the impression that in science the results from another theoretical body of knowledge can be borrowed without precaution. By doing so, students might not perceive thermodynamics as a genuine scientific approach. It is clear that the introduction of entropy with a mathematical formula is somewhat reassuring. However, it is by performing calculations of entropy changes in simple thermal processes that students become familiar with this notion and not by contemplating a formula that is not used in the framework of thermodynamics. This book is broken up into four parts. The first part of the book gathers the formal tools of thermodynamics, such as the thermodynamic potentials and Maxwell relations. The second part illustrates the thermodynamic approach with a few examples, such as phase transitions, heat engines and chemical reactions. The third part deals with continuous media, including a chapter that is devoted to interactions between electromagnetic fields and matter. A formal development of the thermodynamics of continuous media results in the description of numerous transport laws, such as the Fourier, Fick or Ohm laws and the Soret, Dufour or Seebeck effects. At the end of each chapter, there are worked solutions that practically demonstrate what has been presented, and these are followed by several exercises. In the last part of the book, these exercises are presented with their solutions. Some exercises are inspired by physics auditorium demonstrations, some by research, for example: the melting point of nanoparticles, an osmotic power plant, a Kelvin probe, the so-called ZT coefficient of thermoelectric materials, thermogalvanic cells, ultramicroelectrodes or heat exchangers. Thanks to the theory of irreversible phenomena which was elaborated in the period from approximately 1935 to 1965, thermodynamics has become an intelligible theory in which Newtonian mechanics and transport phenomena are presented in a unified approach. 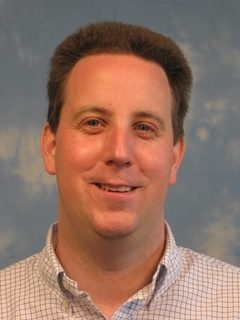 Principles of Thermodynamics demonstrates that thermodynamics is applicable to many fields of science and engineering in today’s modern world.